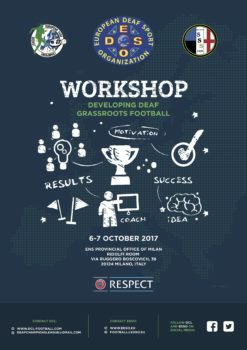 This is the 1st Football Workshop to take place for all National Deaf Football Technical Directors working in partnership with Deaf Champions League (DCL). 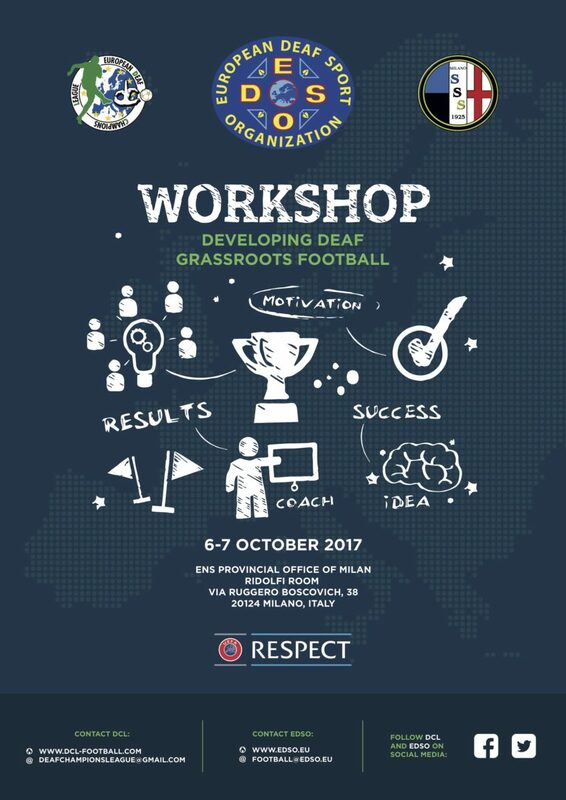 It will be by invitation ONLY, if you wish to attend please contact Andrew Scolding at this email address; football@edso.eu for Registration. 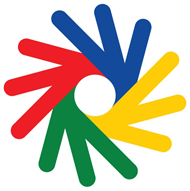 Be aware that the Workshop have limited capacity. 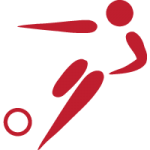 This event is taken place at the same time as DCL U21 Futsal in Milan.